Here on the West Coast, San Diego is considered by many to be THE hot spot for microbrews. It is here, that Mother Earth Brew Co. was born. Founded in 2008 by three passionate brewers, Mother Earth Brew Co. had one goal; to create distinguished, hand crafted beers that stimulate sensory conversation and a desire for the next sip. From a modest garage, to a 2000 plus sq. foot facility, to an additional 6,000 sq. foot Tap House and Homebrew Supply Store, Mother Earth Brew Co. maintains our original goal – to challenge even the most discriminating beer drinker by creating complex, pallet-pleasing beers, and to promote the art and science of craft beer making. 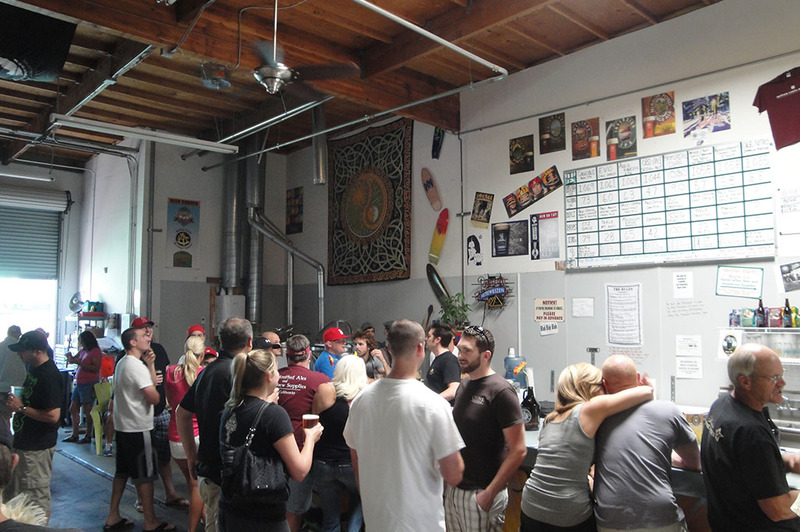 In early 2010, Mother Earth Brew Co.launched a unique brewing supply store and tasting room in beautiful Vista, CA. Just a half mile from the 78 freeway, off Sycamore exit, and just minutes from the I-5, Mother Earth Brew Co. is right in the middle of the “North County Beer Triangle” in North San Diego County. In 2012, MEBC added a 4000 square foot Tap House and moved the Homebrewing Supply Store to Main Street in historic downtown Vista. We are conveniently located near restaurants, shops, entertainment, and the Sprinter Transit Center. The brewery remains at the original location, with plans to reopen the original tasting room by spring of 2013. Our Retail Store carries a wide variety of homebrew supplies to meet all your brewing needs: Over 60 bulk grains, a huge selection of Hop varieties, and dozens of yeast strains from industry leaders White Labs, Wyeast and Fermentis. We also carry a full selection of flavoring adjuncts and additives, extracts, brewing equipment, and cleaning supplies:everything you need in one convenient location! Located in Vista, off Vista Village Dr. exit, we are your only one-stop-shop for homebrew supplies on the 78 corridor. Whether you are a brewing novice, or seasoned vet, our staff is ready to help you get fermenting today!